2006-...	Department of Zoology, Tel Aviv University, an annual lecture in an insect faunistic course: The Coleoptera. 2009/10	Israeli Taxonomic Initiative (ITI). A survey of the Entiminae (Coleoptera: Curculionoidea: Curculionidae) of Israel. 2011/12	ITI. A survey of the Hyperinae (Coleoptera: Curculionoidea: Curculionidae) of Israel. 2012/13	ITI. A survey of the "red" weevils (Coleoptera: Curculionoidea) of Israel. 2010	SYNTHESYS, GB-TAF, 5 days access for work in NHM, London, UK. 2015	SYNTHESYS, CZ-TAF-4443, 10 days access for work in PNM, Prague, Czech Republic. 2016	Systematic Entomology Fellowship, Department of Zoology, TAU, for fieldtrip to Kefalonia, Greece. July, 2010      Visit in the Natural History Museum, London, UK (SYNTHESYS award). Jan-Feb, 2013	Fieldwork in Papua New Guinea; visit in the NAIC (National Agricultural Insect Collection, Port Moresby; the entomological collection of NARI headquarters, Bubia; the entomological collection of FRI (Forest Research Institute), Lae. June 2015       Visit in the Natural History Museum in Prague, Czech Republic (SYNTHESYS award). June 2016       Fieldwork in Kefalonia, Greece. July 2017       Visit in Zoologische Staatssammlung Muenchen, Munich, Germany, and fieldwork in the Bavarian Alps. June 2018       Visit in Zoologische Staatssammlung Muenchen, Munich, Germany, and fieldwork in the Bavarian Alps. June-July 2018	Visit in ZIN, St. Petersburg, Russia. 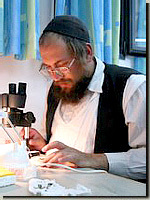 March, 2005	Department of Zoology, Tel Aviv University, Israel: The Coleopterological Researches in the Land of Israel. Lecture in the H. Bytinski-Salz fellowship award ceremony. May, 2005 	Plant Protection and Inspection Services, Ministry of Agriculture, Bet Dagan, Israel: The weevils. March, 2011	Department of Entomology, The Robert H. Smith Faculty of Agriculture, Food and Environment, Hebrew Univeristy of Jerusalem, Rehovot, Israel: The taxonomic and faunistic research of weevils (Curculionoidea) in Israel with special emphasis on the family of Brachyceridae. Department seminar. June, 2012	Department of Zoology, Tel Aviv University, Israel: The taxonomic revision. Lecture in Mo'adon haTaxon (taxonomic club). 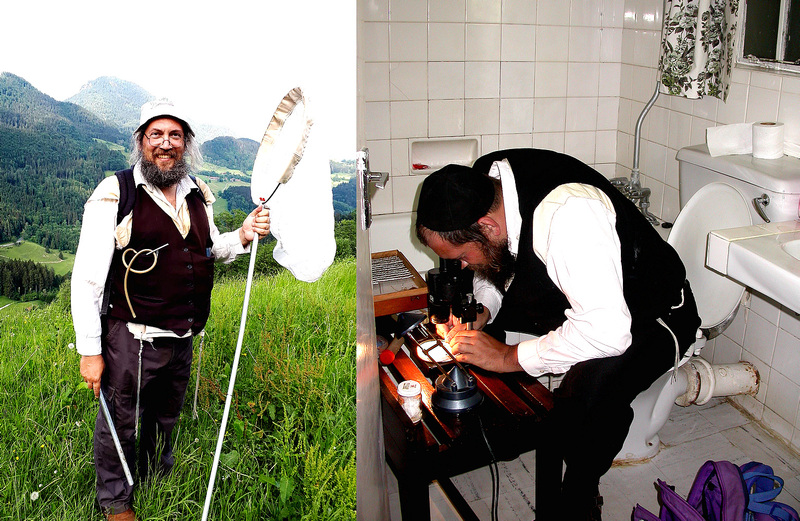 June, 2015	Department of Entomology, Natural History Museum in Prague, Czech Republic: Coleopterist in Israel. Department seminar. June, 2015      Department of Entomology, Natural History Museum in Prague, Czech Republic: Taxonomic and faunistic research on the East Mediterranean Brachycerus. Department seminar. December, 2015	Volcani Center, Israel: History of the taxonomic research of insects in Israel. Seminar of Taxonomy of Arthropods in Israel and Activities in National Natural Collections. December, 2015	Volcani Center, Israel: Coleoptera (recent research of beetles in Israel). Seminar of Taxonomy of Arthropods in Israel and Activities in National Natural Collections. 2008	"Sitonini of Israel (Curculionidae: Entiminae)" - - a presentation in the 27th Conference of the Entomological Society of Israel, Oranim Academic Colledge, Qiryat Tiv'on, Israel. 2008	"Biodiversity and Zoogeography of weevils (Coleoptera: Curculionoidea) in Israel" - a presentation in the Aqaba Middle-East Biodiversity Symposium, Aqaba, Jordan. 2009	Membership in the organizing committee. 2012	A survey of the broad-nosed weevils (Coleoptera: Curculionidae: Entiminae) of Israel, A.L.L. Friedman, A. Freidberg - A poster in the "Taxonomy, Biodiversity & beyond, Global Change Science and society" meeting, Bet haTefutzot, Tel Aviv University, TA, Israel. 2013	Tri-Party Underground Symbiosis between a Weevil, Bacteria and a Desert Plant. Shelef O., Helman Y., Friedman A.-L.-L., Behar A., Rachmilevitch S. - a presentation in the 32th Conference of the Entomological Society of Israel, Haifa University, Oranim, Israel. 2014	"Water weevils in Israel (Coleoptera: Curculionoidea)" - a presentation in the 33th Conference of the Entomological Society of Israel, Volcani Center, Bet Dagan Israel. 2015	"Blossom weevils in Israel (Coleoptera: Curculionidae)" - a presentation in the 34th Conference of the Entomological Society of Israel, Tel Aviv University, Israel. 2016	"Host plant use and its impact on patterns of evolutionary diversification in the weevil subfamily Ceutorhynchinae (Curculionidae: Coleoptera)". H. Letsch, A.L.L. Friedman, E. Colonnelli, D.D. McKenna, H. Yoshitake. ICE 2016, the XXV International Congress of Entomology, Orlando, Florida, USA.